The swiveling cradle is designed to hold your guitar securely while the finish-friendly, rubberized padding prevents scratching or scuffing. 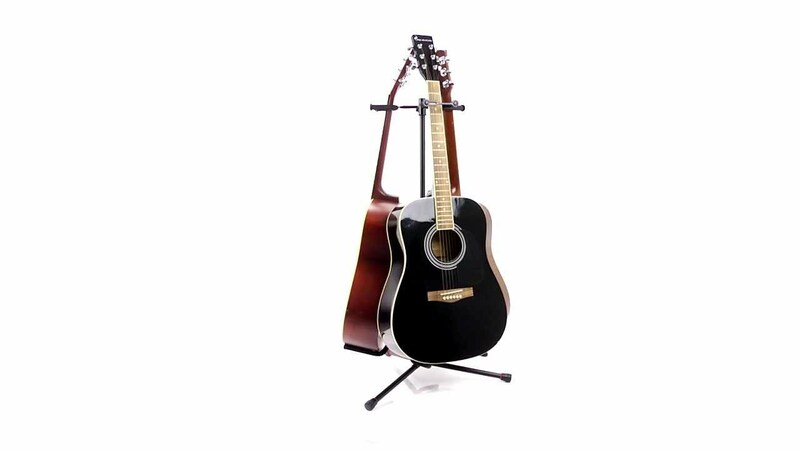 The durable neck restraint band keeps your guitar safe and secure on the stand. Set your guitar on the cradle and fasten the rubberized band around the neck and loop onto the peg for a secure fit. The compact, collapsible tripod design allows each leg to easily fold inward for transporting or storage. The soft-touch twist knob allows you to quickly loosen, adjust the height to the perfect setting, and tighten it in place with a simple twist of the wrist.